I like to carry important gear in a backpack. It's a great way to distribute the weight, and it leaves my hands free for other things. The Nikon Compact Backpack Camera Bag lets you carry a camera body, lenses, and other small accessories when you're on the go. Internal padded dividers can be configured to cushion and organize your equipment in a convenient manner, and it's all easily accessible from a zippered top compartment. 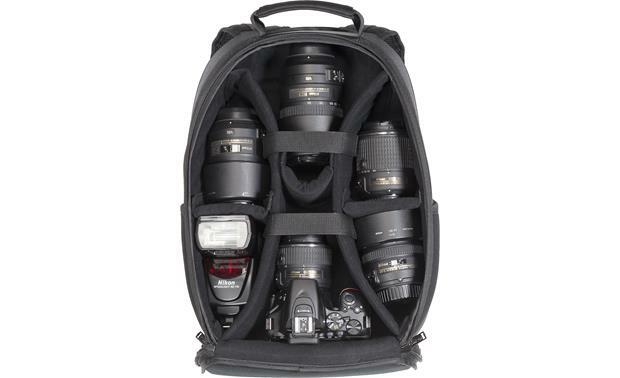 Great, spacious and fully padded to protect the camera, lenses and all other gear. Best part it was free with my camera purchase. 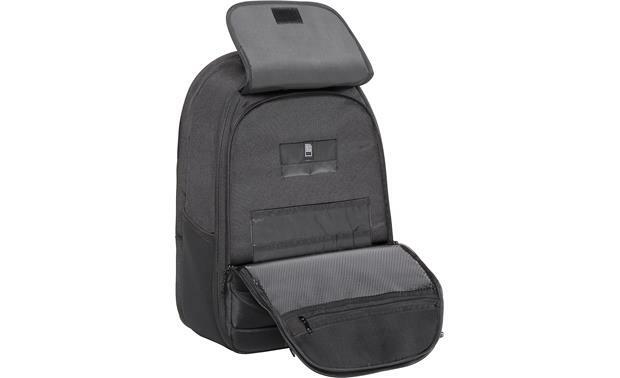 Overview: The Nikon Compact Backpack is made of lightweight, tear-resistant nylon/polyester. It is designed to carry a small or medium-sized DSLR with an attached lens, along with extra lenses, flash, and other accessories. It features a white Nikon logo sewn into the front pocket lid. Main Compartment: The backpack's main compartment features soft padded dividers that you can configure any way you desire to protect your equipment. There are two long dividers and five short ones to create up to eight compartments. The main compartment has a double-zippered closure. Front Pocket: The Nikon Compact Backpack has a spacious front pocket with a double-zippered closure and a protective flap. The main pocket has several nylon pockets for pens/pencils, batteries, cell phones, memory cards, and other small items. An outer pocket (8" x 10") is large enough for a tablet. Rear Pocket: A large, lined and padded rear pocket (9-1/2" wide, 14-1/2" deep) is provided for carrying a large tablet, or a small laptop. Side Pockets/Straps: On each side of the backpack, elastic pockets are provided to hold a water bottle or other items for which you need frequent access. Adjustable straps located above the pockets can hold a compact tripod in place. Shoulder Straps: The Compact Backpack has 2-1/2"-wide padded shoulder straps for a comfortable fit. Both straps are equipped with loops and clips that let you attach accessories to the backpack. The soft padded back panel of the backpack features breathable fabric to keep it cool against your body during long periods of use. Handle: A convenient handle on the top lets you easily grab the backpack and go. 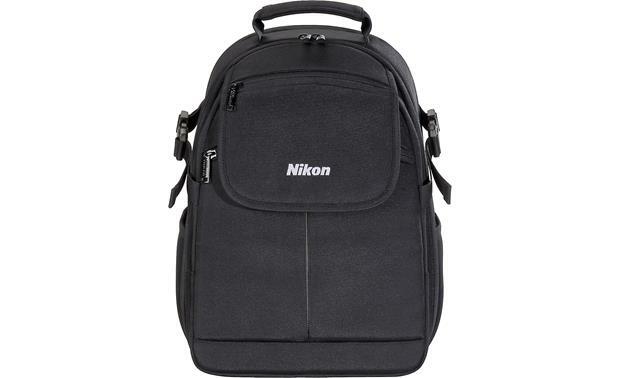 Searches related to the Nikon Compact Backpack Camera Bag Backpack for carrying camera and accessories.